I have to say I have no idea why this boat is not more widely distributed! The Farr 3.7 is without doubt an absolute joy to sail. She is right up there with the best if not the best, and I have sailed a lot of boats. 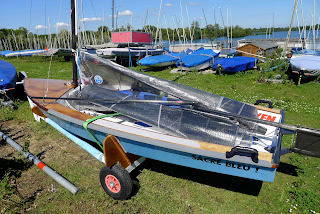 From Musto Skiffs to MX-Rays to UK Cherubs to National 12's to Buzzes to RS100, RS200, RS800, 29ers, 29erXX, Mirror's, Splash, Int Moth.... the list goes on and on. I think you can tell I enjoyed my sail today! 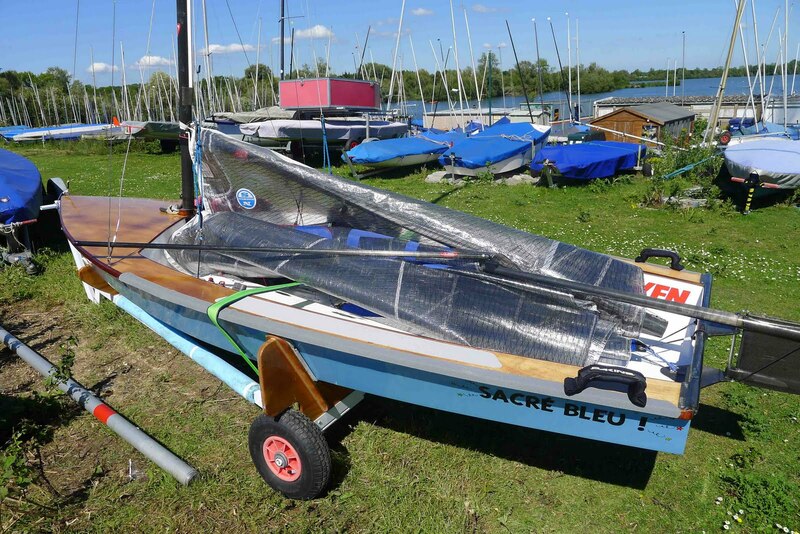 Perfect for UK inland waters where space is a little restricted or where the wind is shifty. (Like where I sail at BSC, islands and shallows etc... ). You can sail conservatively and hike her until the mean wind is enough to trapeze on, or go for it and hook on at every gust. She planes readily, is light and well balanced and is statically stable. And what's more she'll be a great sea boat too. Excelling in big wind. With no ultra low boom to deal with and a simple fully battened rotating rig squeezing all the power out the main sail sized just shy of 9 sqm. She is a joy!